Platts reports that Federal Energy Regulatory Commission (FERC) member John Norris is "expected to announce that he will be leaving the regulatory agency" this month. Reports have suggested that Colette Honorable, chairman of the Arkansas Public Service Commission, may be his replacement. President Obama recently named Cheryl LaFleur as chair of FERC until April 2015; Commissioner Norman Bay will serve as chair after that, according to Platts. Distributed energy storage vendor Greensmith named Leesa Lee as senior VP of product management and marketing. Lee came to Greensmith from the senior director of marketing role at distributed energy storage vendor Stem. Prior to Stem, Lee was senior director of product management at Enphase, a solar microinverter firm. Greensmith also added Jim Murphy as CFO. Murphy was most recently COO and CFO at DDC Advocacy, a full-service advocacy communications firm, providing SaaS-based software and services to the Fortune 500. Prior to DDC, Jim was EVP and CFO at CyberTrust, a provider of security services. Paul De Martini is now a member of the board of directors at Enbala Power Networks, a grid-balancing platform provider based in Ontario, Canada. SolarCity continues to draw employees from Vivint Solar. 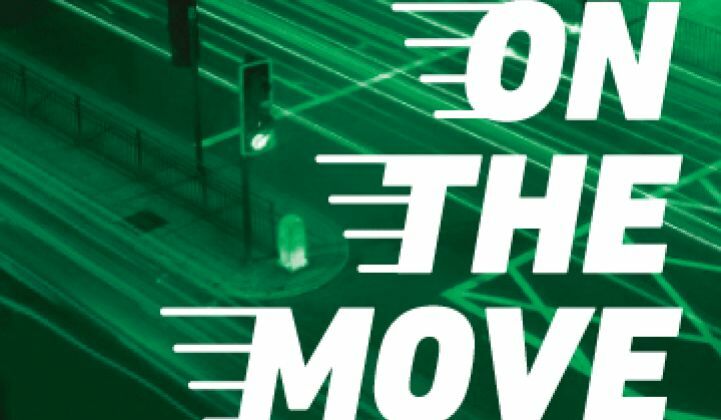 The latest to make the move is Thomas Jones, formerly director of operations at Vivint Solar, who is now director of business intelligence at SolarCity. Gaetan Borgers, the executive VP of Soitec's solar concentrated photovoltaics (CPV) group, has left the French firm's solar effort to become president of the solar unit at Emirates Capital. He lists his responsibilities as raising a fund to provide equity to solar projects in the MENA region. Hercules Technology Growth Capital has hired three investment professionals focused on the energy and renewable technology sector: Brian Sappas as managing director (previously with R.W. Baird & Co.); Micah Merrick as principal (previously with Saint-Gobain); and Catherine Jhung as principal (previously with Cleantech Group). The Electric Power Research Institute (EPRI) announced that Steve Lennon, a group executive for the sustainability unit at Eskom of South Africa, Lisa D. Johnson, CEO of Seminole Electric Cooperative, and David C. Coen, a former commissioner on the Vermont Public Service Board, have been named to the EPRI board of directors. Asher Burns-Burg was promoted to Director of Engagement Management at Opower. SolarCity named Brad Buss as its new CFO, replacing the retiring Bob Kelly. Buss served as Cypress Semiconductor's CFO from August 2005 through June 2014. Before that, he was VP of finance at Altera. Robyn Denholm, CFO of Juniper Networks, has been added to Tesla Motors' board of directors and will assume Brad Buss' committee positions as he joins SolarCity as CFO. Tesla's board includes Elon Musk (chairman and CEO), Ira Ehrenpreis (Technology Partners), and Steve Jurvetson (DFJ). SunEdison added Clayton C. Daley Jr., the former Vice Chairman and CFO of The Procter & Gamble Company, as a new independent member of its board of directors. SunEdison is a vertically integrated solar technology manufacturer and developer, financier and installer of distributed solar power.